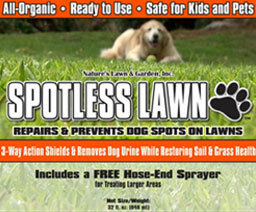 Buffalo & WNY Lawn Care Service - Organic and Organic-based lawn care is all we do. DIY Lawn and Garden Solutions. – Safe, Organic and Non-Toxic Liquid Products. We offer both an All-Organic program and what we call our Organic Plus program, which includes conventional chemicals, often on a spot-treatment basis. By soil testing and using soil-building fertilizers, conditioners and bio-activators - many of which we now sell across the United States and Canada - we work to correct the conditions that actually bring about weeds and other lawn problems. In other words, we treat the causes, not just the symptoms! 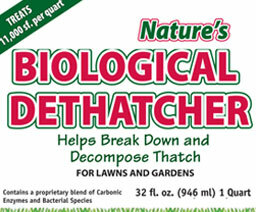 Safe Organic Non-Toxic Liquid Fertilizer, Insect Controls, Soil Amendments and Liquid Aeration solutions from Nature's Lawn & Garden. 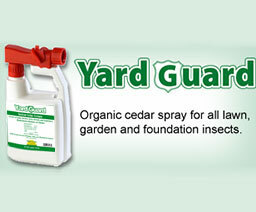 We have a wide variety of products to help solve just about any soil problem you may have. 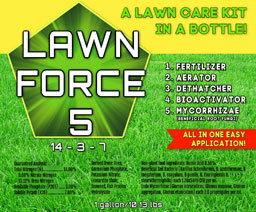 We invite you to look over our fertilizers and soil amendments below. There you will find some of the products we've used for rehabilitating soils, aerations of lawns, organic fertilization, reducing thatch and improving plant health.